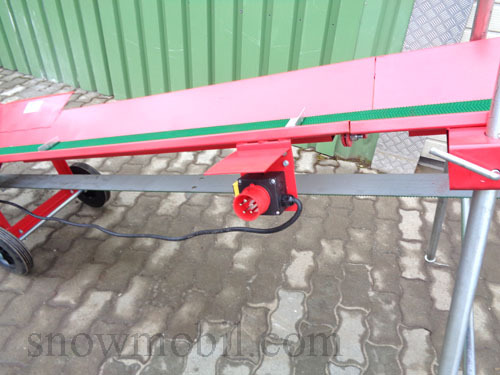 The conveyor belt has a length of 530cm. 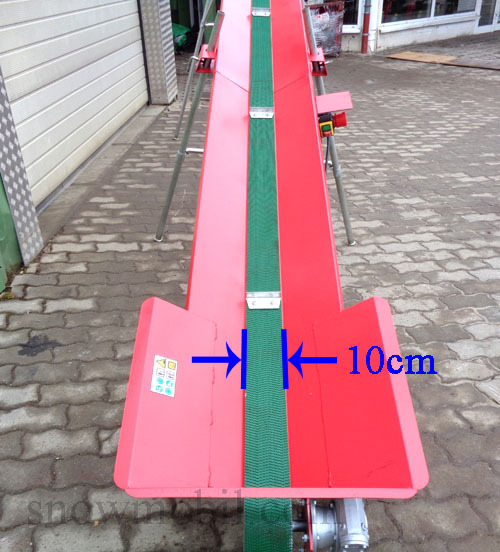 The width of the conveyor belt is 10cm. 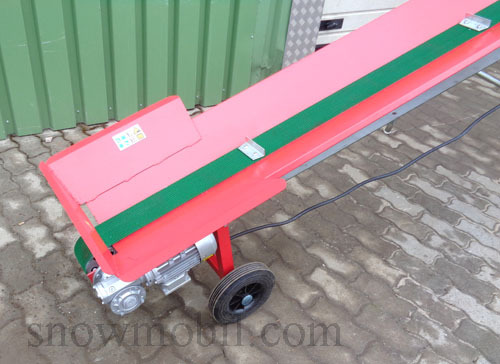 It is driven by an electric motor with 16A plug combination. 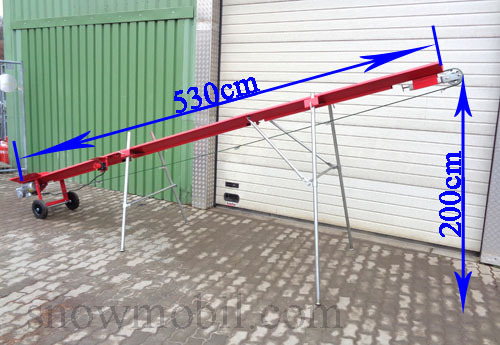 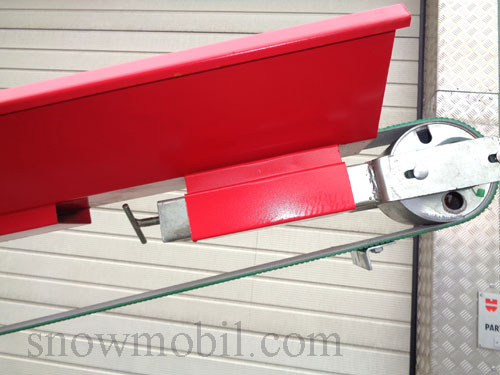 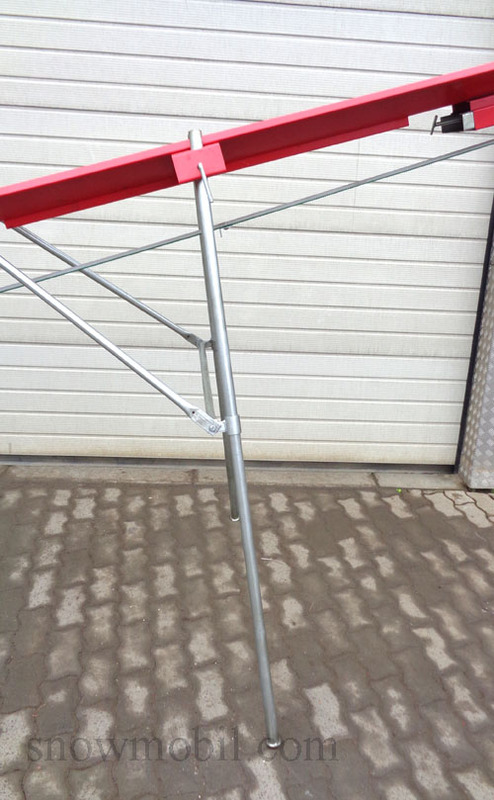 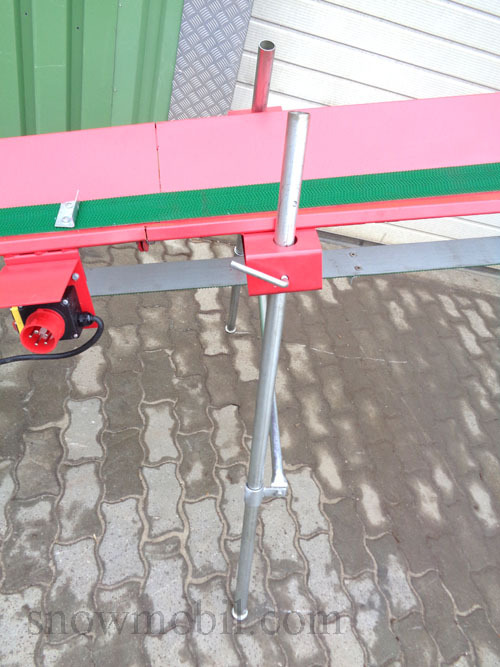 The maximum height is 200 cm, with the tube supports included. 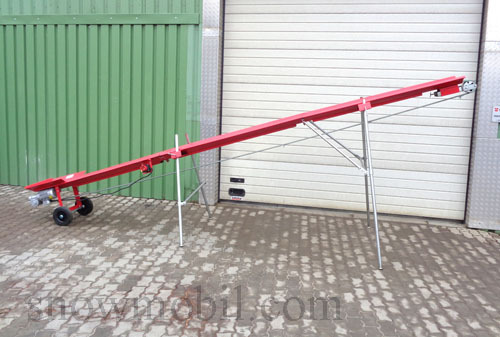 If you use longer tubes, you can change the desired working height.